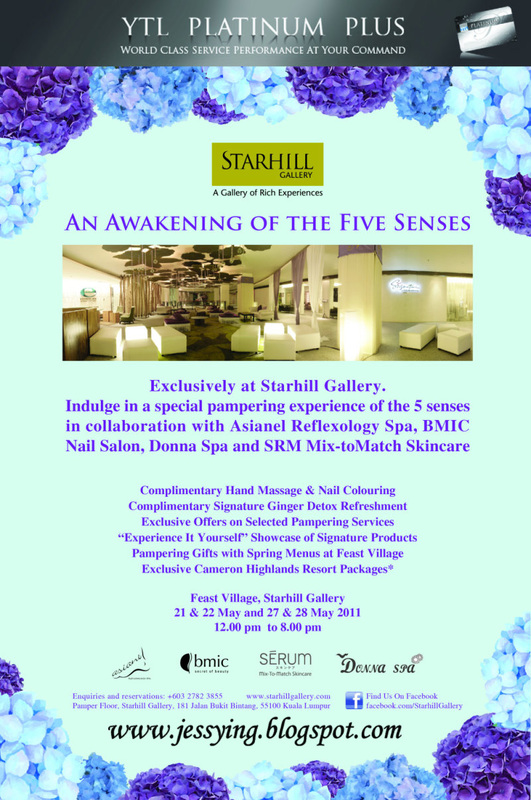 Last weekends , I was invited by BMIC Secret of Beauty Nail Spa salon to enjoy a enjoyable pampering service at Starhill's An Awakening of the Five Senses event at Starhill KL. First I was given a hand massage . It was really relaxing that it loosen up my hand muscle. Then I was given a nail coloring service of my choice. I chose OPI Koala Bear-y from OPI Australia Collection, which is a bright berry pink creme color. I was told that BMIC Secret of Beauty salon uses only original OPI products. 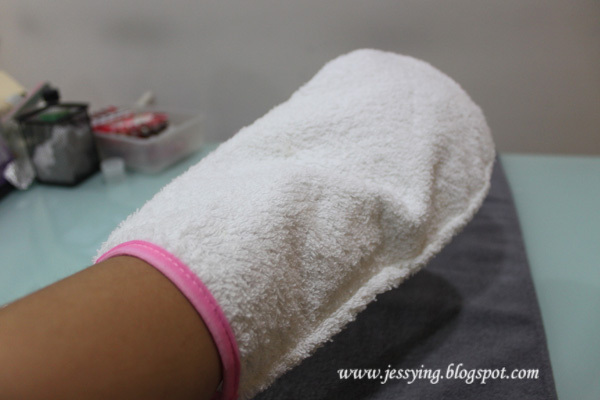 After the nail pampering session, I was given a complimentary hand paraffin treatment and RM50 gift voucher to redeem their manicure and pedicure services that are RM150 and above. So I went to BMIC Secret of Beauty Nail Spa Salon which was situated at the Pamper floor, Starhill to do my complimentary hand parafin treatment. First I was checked to make sure that my nail polish are completely dried before I can do the hand parafin treatment as it will melt the nail polish away. Then I was asked to soak my hand in a layer of warm wax. 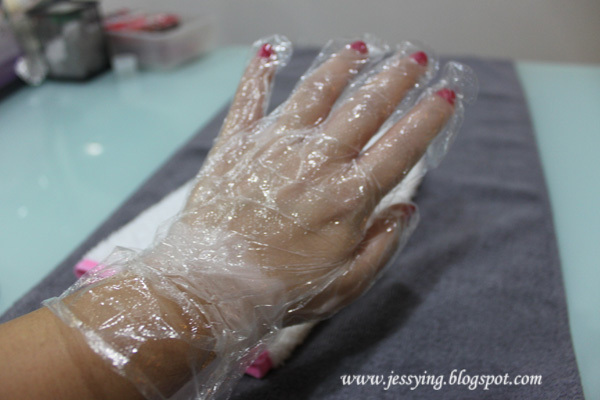 Then my hand was wrapped in a transparent plastic bag, to the the wax harden and to keep my hands moisture. 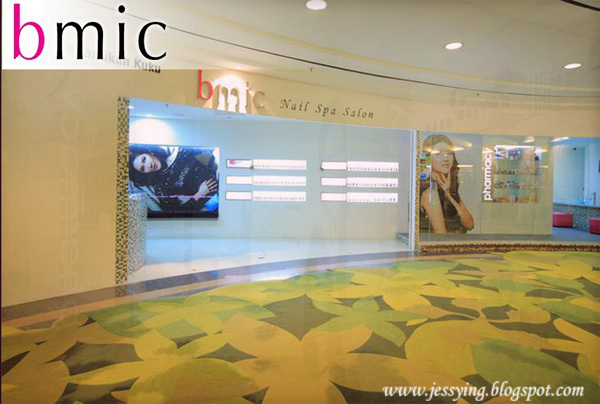 Good news to all that this coming weekend (28 and 29 May 2011 12pm-8pm) BMIC Secret of Beauty Nail Spa salon also offering special free pampering manicure and complimentary hand massage for the public to try at Feast floor. 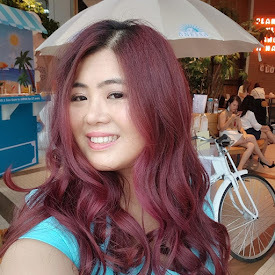 And apart from BMIC Secret of Beauty nail salon, there are other beauty company such as Asianel, Donna Spa and Serum Mix to Match setting up booth at the event to promote their services too. Feel want to go tomorrow after work... Hehehe..
Oh that's how a paraffin treatment is like!! Thks for the invite babes!